The idea for this website originated after becoming frustrated at being able to find no end of exterior views of Kent churches, but few interiors where the true character of a building is often gained. I am therefore trying to use interior views wherever possible. Most of the photographs on this site come from old postcards, but the majority of the recently-taken colour photographs are the copyright of Dr John Salmon who has accompanied me on many visits to Kent's churches. 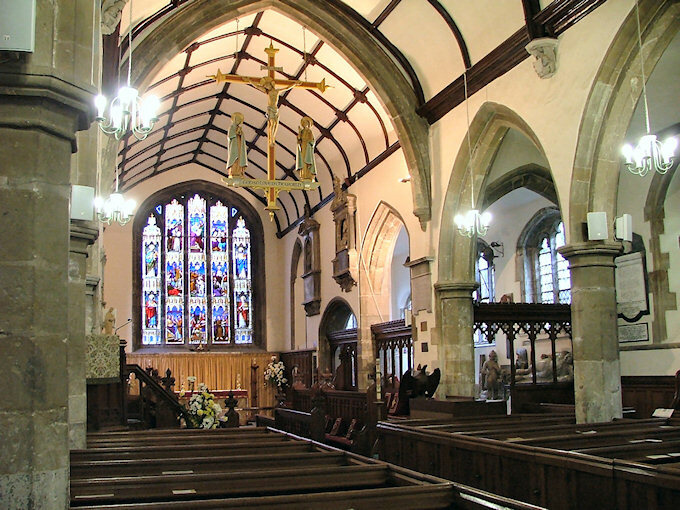 Contrary to popular opinion churches are ever-changing buildings (and only survive by so doing) so the old photographs may not present the church as it is today. As one of my interests is Nineteenth Century Church Restoration, I have included where I could, the figures taken from the only census of religious attendance ever to have been taken in England. The figures relate to the total seating accommodation declared by the incumbent in 1851, followed by the attendance at the morning, afternoon and evening services on 30th March 1851. The census returns also give lots of other information, but space does not permit inclusion here. Figures from the 1851 religious Census are used by permission of The National Archives (PRO). Please note that the text will be added over time, but as my prime concern was to make available the interior views, please bear with me if a picture has no caption.